Nothing but great service here. It was so good to know that my goods were safe and in good hands. The staff were super helpful and answered all my questions when I had them. Moving house, downsizing or require extra space? We can help! We are an established family business and have been assisting Gold Coast locals, interstate movers and small business owners with professional storage on the Gold Coast for the past 15 years. We are the only award winning storage facility on the Gold Coast and we pride ourselves on great customer service. 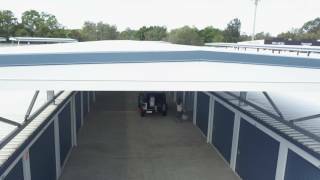 Our facility is purpose designed to make storing your goods as easy and as stress free as possible. Storage King Ashmore is all on one level, no lifts or stairs and fully covered driveways, rain, hail or shine you are always undercover. 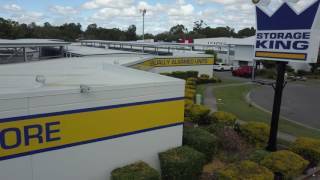 Are you a local Gold Coast business needing some extra commercial storage space? Save money on your commercial rent or empty out your garage and rent a storage unit, you only pay for what you need. Storage is a great way for your business to save money and time, we can even collect your stock deliveries and place them in your unit for you to access anytime. With state of the art security and after hours 7 day access, your stock is always safe and secure. We have 40 different sized units, catering from a small locker to an extra large garage roller door size we can accommodate your every need. One month minimum storage for temporary or more permanent storage options. Unsure of how much space you might need? Use our storage calculator or call our friendly staff today. We also sell a huge range of boxes and “packaging” supplies. Storage King Ashmore proudly services Molendinar, Surfers Paradise, Gold Coast, Benowa, Nerang, Carrara, Bundall and Parkwood.